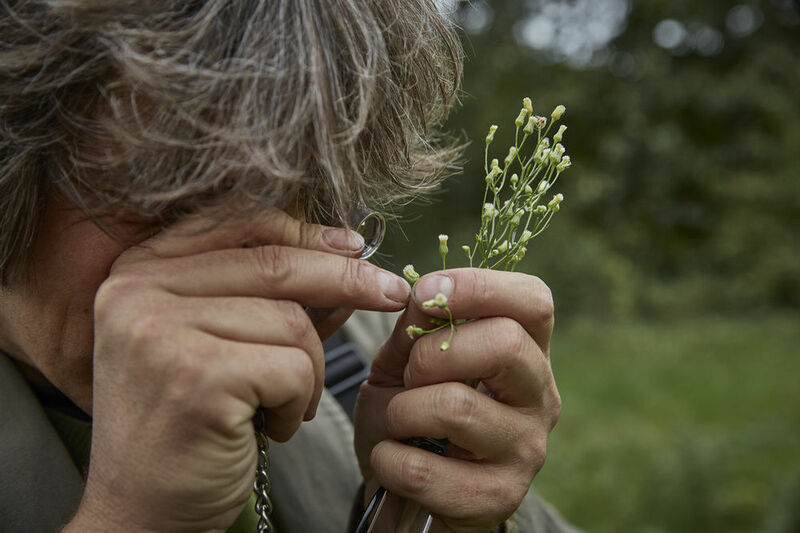 Forensic botany sounds like a fascinating field to work in, and it can't be often that clients like this come along – how and when did you and Mark first cross paths, and what exactly does his work entail? 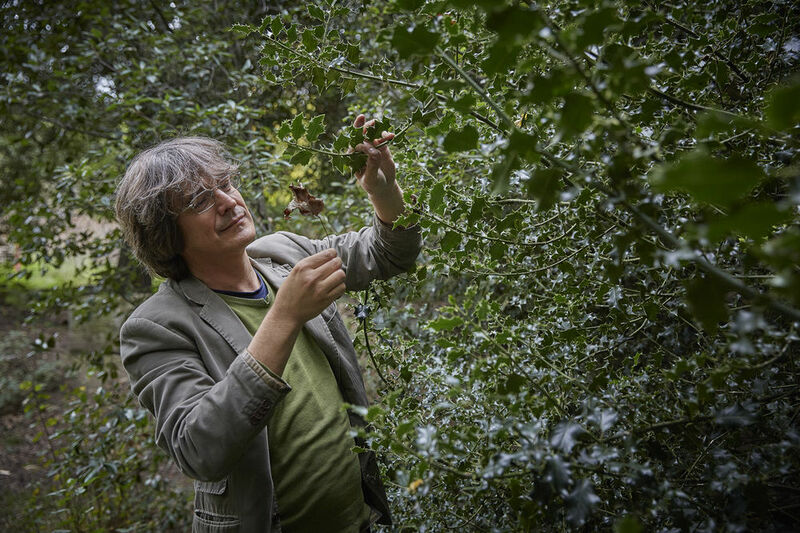 I’ve actually known Mark for years, although for almost as long as I’ve known him he was a Curator of Botany at the Natural History Museum in London. I may have hinted over the years that I would love to work with him! We initially met through another client, Revival Retro (which was featured in Grafik in issues 187 & 193). 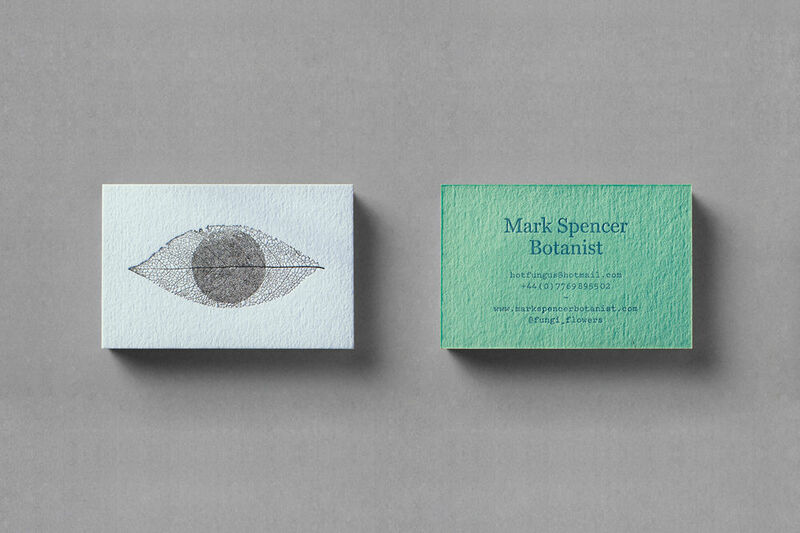 Last year he struck out on his own to start an independent consultancy and asked us to design his identity. Mark has such an incredibly interesting job: he is a Forensic Botanist, and literally consults with police departments and forensic services on cases where plant-based evidence can unlock crimes. But that’s only part of what Mark does. 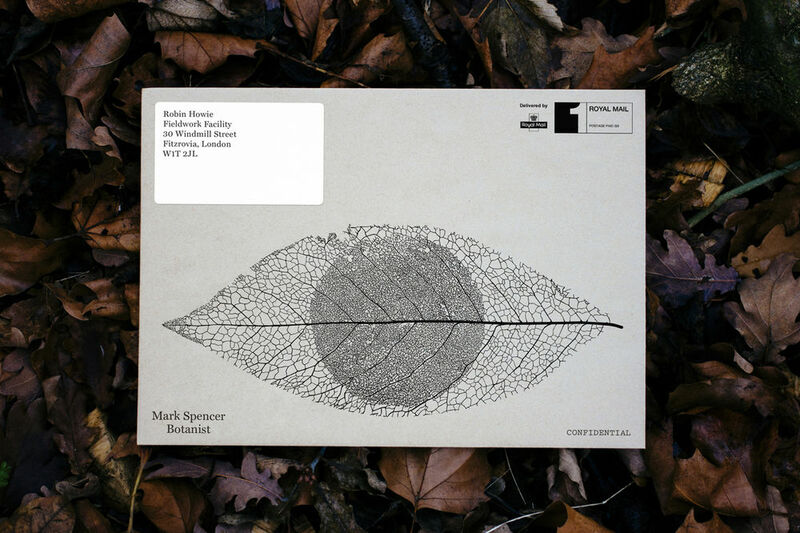 The other area of Mark's work is much more public-orientated – he is a curator, field botanist, public speaker and a television personality. Typically, Mark has many projects on the go which he manages between his forensics assignments. Last time we chatted he was just back from China, where he had been presenting a show for the Discovery Channel, and he’s now preparing a field trip to the Caribbean! 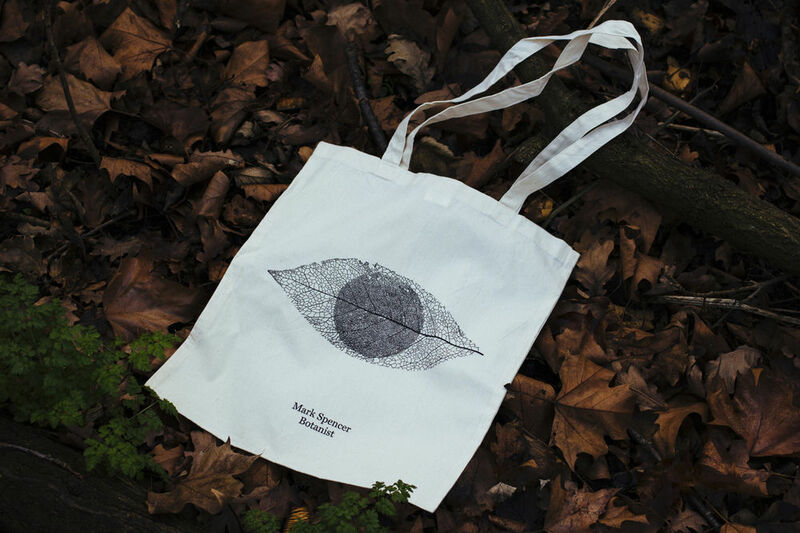 What was the brief that Mark gave you for his new identity, and what was your starting point for the design? We were asked to create an identity that was intelligent, simple and memorably executed. We knew that from our initial conversations that the two parts of Mark’s work needed to be carefully communicated. We also found out that within forensics, Mark has a really limited field of competitors in the UK (two at the last count!). It became apparent that Mark is really unique, and having a considered visual identity would make Mark quite disruptive by default. The challenge, though, was to make sure this disruption doesn’t come across as a distraction, and to avoid any territories that were insensitive to the gravity of Mark’s forensics work. 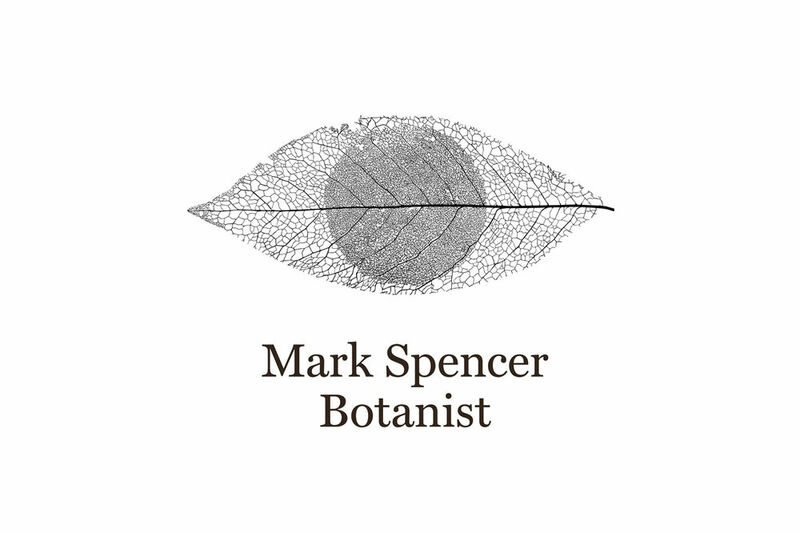 We spent time asking Mark lots of questions about his practice, and discovered that in Forensic Botany the main tools at his disposal are his observational skills and his vast botanical knowledge. The logo we designed for him is a skeletonised leaf that resembles an observing eye — skeletonisation being the botanical result of decay, which tied in nicely with the forensics. To create the logo, we made a few experiments where we tried to accelerate and control a leaf's skeletonisation. Mark got involved too, but alas there isn’t a fancy botanical method or specific equipment to do this, and our experiments mostly resulted in a pretty disgusting brown sludge. We started over and diverted to photographing a great-looking leaf for inspiration, and then then started to draw its skeleton; every single tiny vein was drawn. It took absolutely ages. What role does photography play within the project? 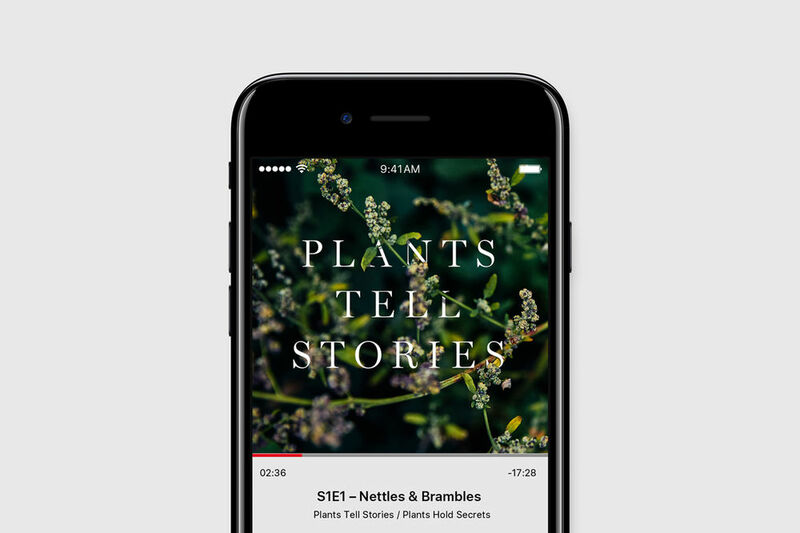 To tell the story of Mark’s two worlds, we coined ‘Plants Hold Secrets’ (for Mark’s forensic work) and ‘Plants Tell Stories’ (for all of Mark’s public-facing work such as TV and public speaking). The imagery aspect of this project was a bit of a minefield. Thinking ahead with Mark’s website and promotional collateral in mind, we needed ways to show his different areas of work. On the one side you have the forensics, and clearly we couldn’t use any pictures of real forensics work at all. 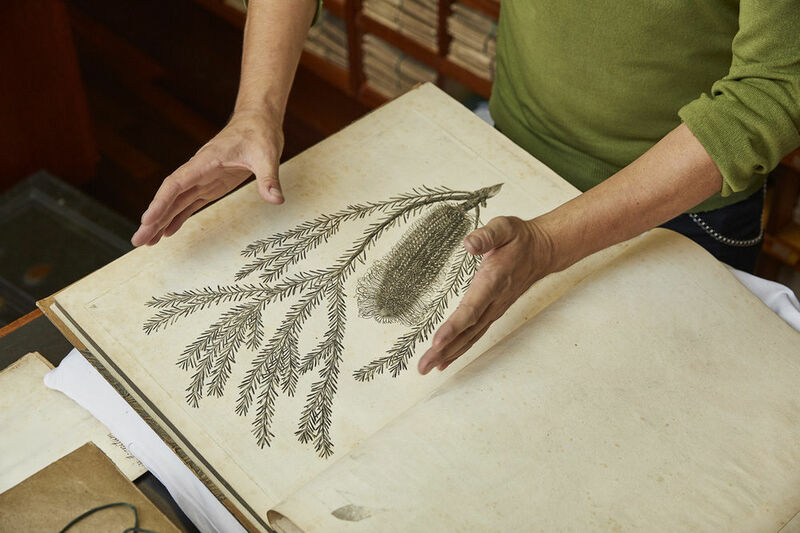 On the other side you have natural history archives, with their gamut of beautiful plant specimens and stunning botanical illustrations. As lovely as all this latter content is, it doesn’t sit very well with the forensics…it’s just too pretty! 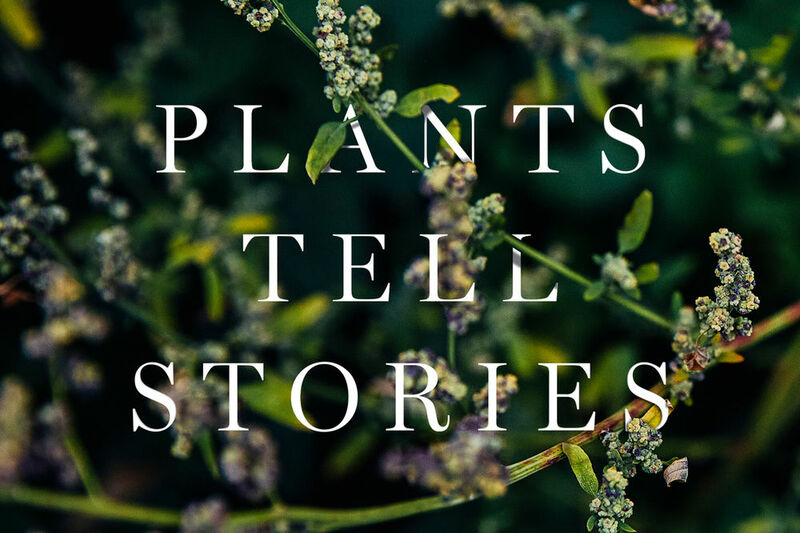 To think through how to approach ‘Plants Hold Secrets / Plants Tell Stories’ visually, we would go for walks observing the world through a botanical lens. 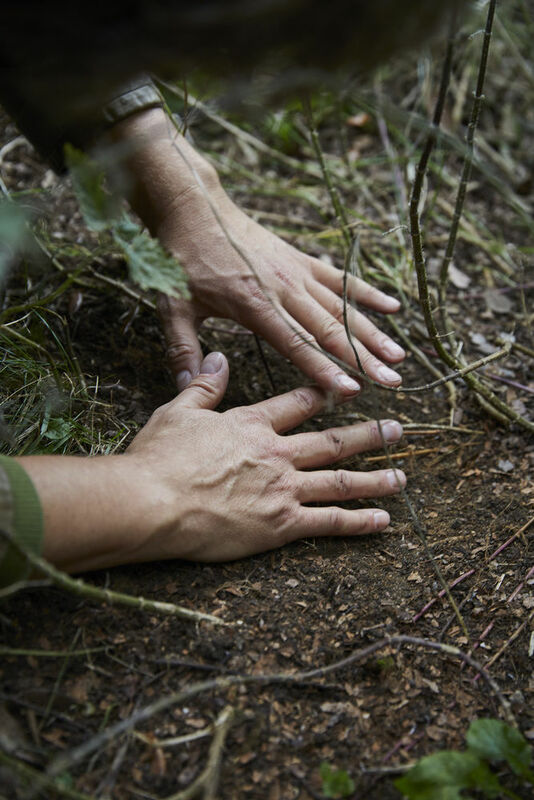 We started seeing what we take as ordinary in quite an extraordinary light – like how nettles and brambles can help to tell how long a crime scene has been left undisturbed, or how a plant might have an amazing story of how it arrived from a different part of the world to where you encounter it. Our photographic approach stemmed from this thinking. We commissioned Robin Friend to join us with Mark on a walk; Robin has done some beautiful landscape work in the British countryside and we thought he’d be perfect for the job. We approached the day as if we were simulating a forensics investigation. 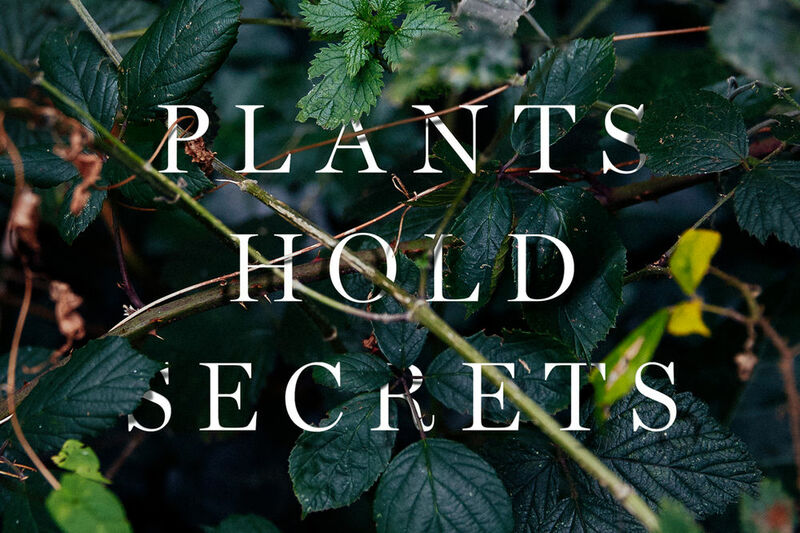 For 'Plants Hold Secrets' we photographed plants that are often useful in forensic investigations, and for 'Plants Tell Stories' we photographed plants that are non-indigenous to the UK. 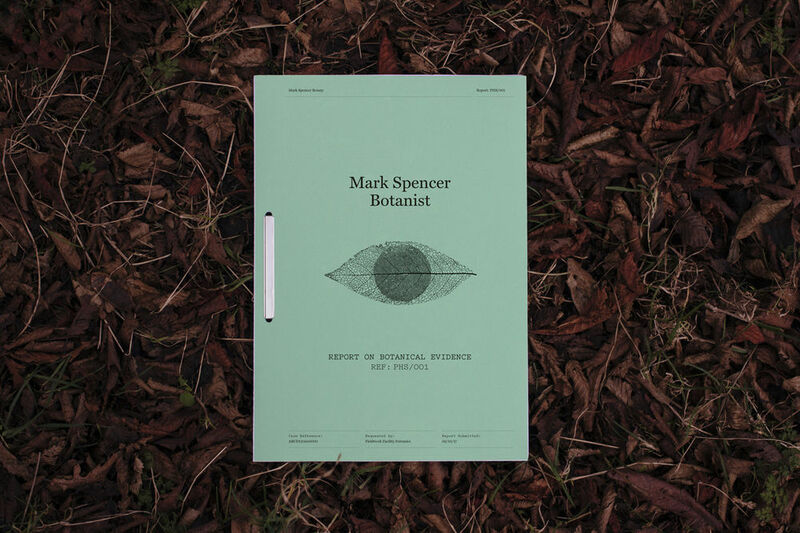 We didn’t feel the need to make the plants pretty in any way, this was about bringing people closer into Mark’s worlds, finding plants with extraordinary stories and secrets in their natural settings. An image from Robin and Mark's walk with photographer Robin Friend. 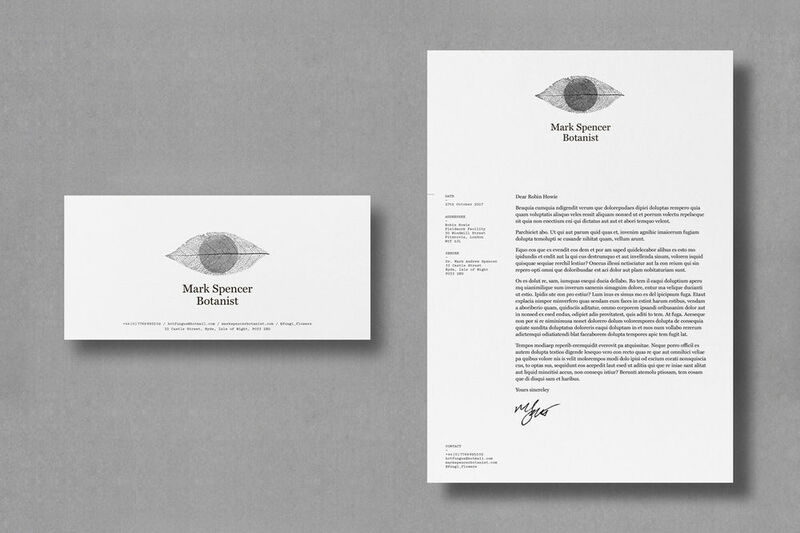 The typography needed to have a ‘private eye’ kind of detective quality (no pun intended), and it also needed to be fairly no-nonsense – after all, police departments and forensics services are some of Mark’s main audiences. 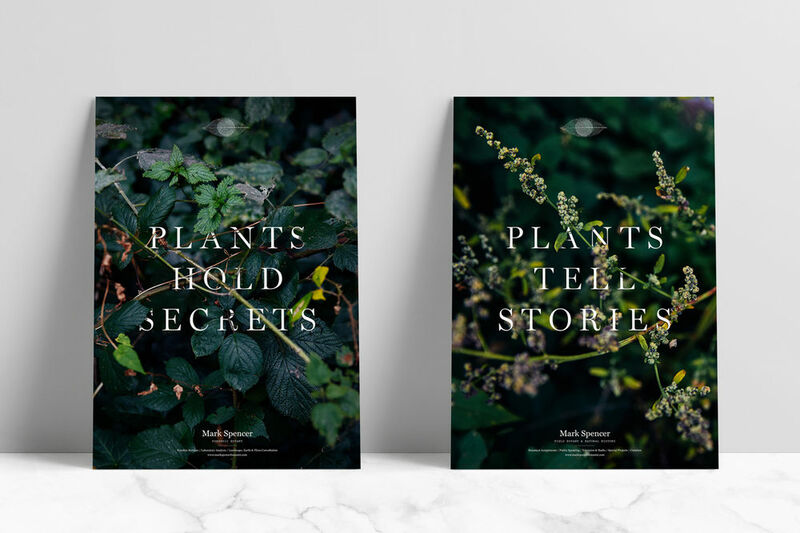 Within the imagery, we gave the ‘Plants Hold Secrets’ and ‘Plants Tell Stories’ typography a really subtle 3D treatment with carefully-cast shadows. This elevated the imagery and made the type feel like artefacts encountered amongst the botany, as if you were just discovering it in situ. What's the rationale behind the different materials and production processes used within the printed parts of the identity? This was fairly straightforward: we used plant-based inks wherever we could, and the business cards were letterpressed to give the logo a bit of a tactile quality. It was a bizarre kind of pleasure to design a simple template for the forensics report. We have just launched another project in the past few days – we designed the film titles and campaign for Cautionary Tales, a new film from the directors Us. This week in the studio, we’ve started researching a new experiential project to tie in with the anniversary of the Apollo 11 moon landing next year. It comes with just as much pressure to do something great as a forensic botanist's identity!